A partial human skull unearthed in 2008 in northern Israel may hold some clues as to when and where humans and Neanderthals might have interbred. The key to addressing this, as well as other important issues, is precisely determining the age of the skull. A combination of dating methods, one of them performed by Dr. Elisabetta Boaretto, head of the Weizmann Institute's D-REAMS (DANGOOR Research Accelerator Mass Spectrometry) laboratory, has made it possible to define the period of time that the cave was occupied and thus the skull's age. The combined dating provides evidence that Homo sapiens and Homo neanderthalensis could have lived side by side in the area. The Manot Cave, a natural limestone formation, had been sealed for some 15,000 years. It was discovered by a bulldozer clearing the land for development, and the first to find the partial skull, which was sitting on a ledge, were spelunkers exploring the newly-opened cave. Five excavation seasons uncovered a rich deposit, with stone tools and stratified occupation levels covering a period of time from at least 55,000 to 27,000 years ago. Dating the skull presented a number of difficulties. "Because it was already removed from the layer where it was presumably deposited," says Dr. Elisabetta Boaretto, "we had to look for clues to tell us where and when it belonged in the setting of the archaeological record in the cave." The age of the skull was first determined to be 54.7 thousand years old by a technique known as the uranium-thorium method, which was applied to the thin mineral deposit on the skull. But the estimated possible error in that type of method is plus or minus 5.5 thousand years. To obtain independent confirmation of the date, a different type of dating was required, e.g., radiocarbon dating. To narrow down the possible range of the skull's age and determine when the skull's owner had lived in the cave, the archaeological team led by Prof. Israel Hershkovitz of Tel Aviv University, Dr. Ofer Marder of Ben Gurion University and Dr. Omry Barzilai of the Israel Antiquities Authority turned to Dr. Boaretto. She and her team participated in the excavation of the cave and applied radiocarbon dating to carefully selected charcoal remains, so that the whole cave, and thus the timing of human occupation, was mapped. 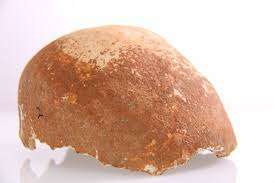 The agreement between the two methods - carbon and uranium-thorium - provided the necessary support for the "correction" in the original uranium-thorium dating of the skull, which then helped fix the true age of the skull at around 55,000 years. The date and shape of the Manot Cave skull provides some intriguing evidence that humans and Neanderthals might have interbred sometime during the human trek out of Africa, most likely as the former passed through the Middle East before spreading out north and east. The 55,000-year-old partial skull is the first evidence of a human residing in the region at the same time as Neanderthals, whose remains have been found at several nearby sites. Archaeologists are now searching for more evidence of ancient human habitation in the cave. If, indeed, the mixing between humans and Neanderthals took place in this area, it would suggest that the owner of the skull and his kin may have been the ancestors of all modern non-Africans.